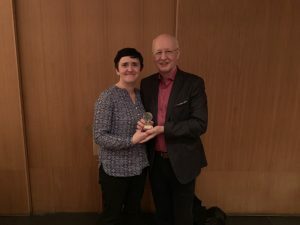 At the ‘Freedom of Speech in the Age of Censorship’ Conference in Brussels, AltNewsMedia recognised the speakers with their annual ‘Warrior of Truth and Freedom’ award. Much coveted and given only to those that have made a real difference, the awards were presented by David Vance, Co Founder of AltNewsMedia. For making us all smile as she delivers important stories from around the world, there was only one winner for this award. 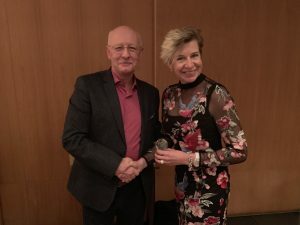 Her bravery, wit, intelligence and willingness to tell the story no matter what the potential backlash might be, our ‘Journalist of the Year‘ award went to the one and only Katie Hopkins. The next award was presented to a lady who has been hounded relentlessly by obsessed stalkers, shadowy organisations and a media intent on trying to disrupt her life. All because she dares to present news and opinion they do not wish the world to see. 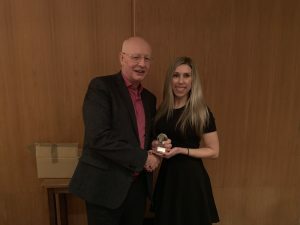 Our ‘Courage Under Fire‘ award was presented to Amy Mek. We wanted to give an award to someone that has made great use of their platform, and has encouraged people to think on a whole range of issues they might never have even considered before. A philosopher of our time, his knowledge and intelligence has been viewed or listened to over 650 million times, “red pilling” millions. 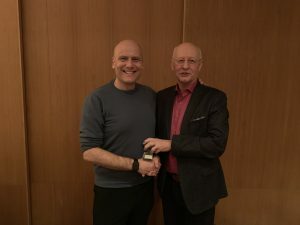 The award for ‘Philosopher of the Year‘ was presented to Stefan Molyneux. We then presented an award for a number of reasons to the next brave ‘truth warrior’. He may be a magnet for fatwas and seems to provoke great anger among both the far left and certain elements of his community, but he bravely battles for religious reform and opposes the extremists that blight Islam. 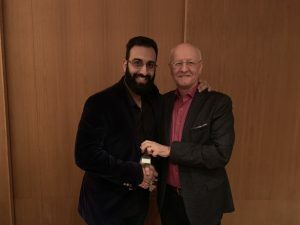 The ‘Contribution to Religious Progress‘ award was given to the fantastic Imam of Peace, Imam Tawhidi. The next award was given to an incredibly brave lady who has stuck by her principles throughout her political career. At great cost she has never wavered from her moral compass, and has been let down many times by less honourable political figures. Rather than change the message to suit the moment, she decided to form her own political party and speak openly and honestly to the public about the real issues that affect the UK today. Our ‘Greatest contribution to Politics‘ Award went to the leader of the For Britain Party, Anne Marie Waters. Next up was an award for someone who has consistently spoken out against mainstream group think. Dared to challenge the narrative we are supposed to blindly accept. 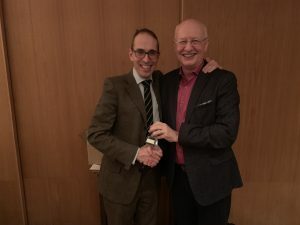 After years of being a writer and a dissenting voice across a number of media publications, the winner of the AltNewsMedia ‘Rebel with a Cause‘ award went to James Delingpole. 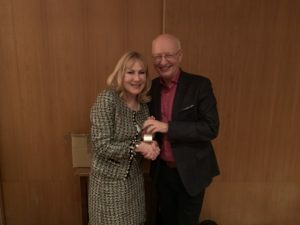 Last but certainly not least, for tireless work for the cause of truth and freedom, from writing books to helping truth tellers right across the movement, and for organising the event within the bowels of the EU, an award was given to Janice Atkinson (and her team) for ‘Outstanding Contribution to Truth and Freedom‘. Extremely well deserved.